A plan has been created for the continued use of Ares via a series of test flights, ultimately leading up to a Heavy Lift Vehicle (HLV) program in the second half of this decade. Appearing to bank on major changes being negotiated by Congress in NASA’s FY2011 budget proposal, the plan would result in three Ares I test flights being conducted by the end of 2014. President Obama’s FY2011 clearly states the cancellation of the Constellation Program via an alternative path which relies heavily on the commercial sector. In the face of heavy criticism, President Obama announced a slight refinement to the plan, which allowed Orion to survive – but only in a lifeboat role for the International Space Station (ISS) – along with a five year development plan to finalize a design for a Heavy Lift Launch Vehicle (HLV). However, until the US Congress approves the plan – which the next key hearing set for May 12 – CxP can continue to develop hardware and perform tests, even if it’s at a reduced level. The latest test came only last week, when the PA-1 (Pad Abort) test of the Launch Abort System (LAS) was successfully conducted at White Sands. Although managers avoided references to the original plan of testing Orion’s pad escape option for the purpose of pulling the crew away from a failing Ares I launch vehicle – instead noting the system may become applicable to commercial launch vehicle – Orion project Mark Geyer summed up the mood of the Constellation workforce’s view of the “new” plan. Somewhat out of the blue, a potential return of Ares has been created by CxP, although the plan is likely to be one of several proposals that may earn the backing of lawmakers, providing the FY2011 budget is not approved in its current form. The plan calls for three more tests which will utilize Ares I-X Prime, I-Y and Ares I vehicle designs between 2013 and 2014, working in parallel with a Heavy Lift Vehicle effort – taking the entire test plan out into 2018. “Schedule: FLIGHT TEST 2: Launch Date: March 21, 2013. FLIGHT TEST 3: Launch Date: March 21, 2014. FLIGHT TEST 4: Launch Date: November, 2014,” noted expansive information acquired by L2. The information concentrates on the three Ares tests, though graphics show the Heavy Lift Vehicle is an in-line configuration supporting what appears to be an Ares I Upper Stage. 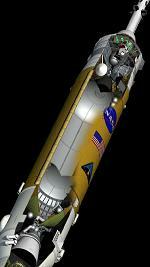 The vehicle portrayed appears to have an element of synergy with the previously touted Ares IV. No mention of required funding, or political and administration decisions, are made in the information, although the plan does state that a decision would be made in May, in order to start work on the test plan on June 1. With a launch date target of March 21, 2013, Flight Test 2 (FT 2) mirrors what was previously planned as Ares 1-X2, otherwise known as Ares I-X Prime – a compromise between the 2009 launch of Ares I-X and the cancelled Ares I-Y test flights. The information immediately references the use of FT 2 as a demonstration of potential HLV assets via the first flight use of the 5 segment SRB (Solid Rocket Booster) – currently another casualty of the FY2011 budget proposal. “FT 2 Objectives: Demonstrate of 5-Segment RSRMV (Reusable Solid Rocket Motor Vehicle) for HLLV. Demonstrate 5-Segment RSRMV entry and recovery systems,” outlined the plan. “Demonstrate high altitude abort systems for spacecraft. Demonstrate spacecraft post-abort Entry, Descent, and Landing. Demonstrate FS/US (First Stage/Upper Stage) sep system. With the test focusing on the five segment booster with a 7.22 ER Nozzle, the vehicle would fly with an Ares I-X style dummy Upper Stage with “Three Ballast Segments”. Potential for a high altitude abort is also mentioned, although this is listed as Under Review (U/R). “Crew Module: High altitude abort capable, water recovery, AA-2 Like (U/R). LAS: High altitude abort capable, AA-2 Like (U/R). 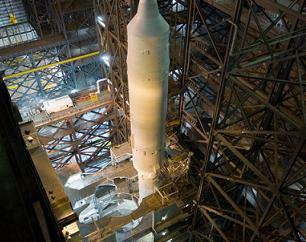 All FTV (Flight Test Vehicle) hardware will have the capability to be stacked and de-stacked in the VAB,” added notes. 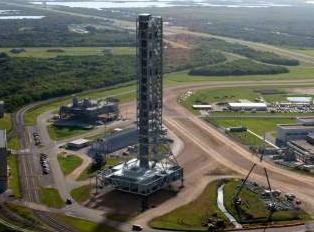 A large amount of Ares I-X assets are already available at Pad 39B, although FT 2 would debut the use of the new Ares Mobile Launch (ML) Tower – currently completed and located next to the Vehicle Assembly Building (VAB) – which would result in the demolition of the current shuttle complex at 39B, due to the clean pad requirement of the Ares ML. “Vehicle Support Posts (VSPs). Aft Skirt Handling and Access. Aft Skirt hydraulics, pneumatics and hydrazine servicing. Aft Skirt Electrical Umbilical and GN2 Purge. Fwd Skirt electrical T-0 umbilical (U/R). Ares Stabilizer,” listed the requirements between the ML and Ares FT 2. The super stack would be processed in High Bay 2, prior to stacking in High Bay 4. “Access on Interstage will be same as Ares I. Access to US and above at VAB and Pad is internal only through this access (including LAS S&A). Interstage hoisted into HB as part of super stack with Fwd Assembly and US-1. (US) Upper Stage ballast segment 1,” the requirements continued. Launch Control Center (LCC) Firing Room (FR) 1 and 4 would be utilized for Ares FT 2, hosting the Prime Launch Team in FR-1, with the launch support team in FR-4. The outfitting of the Firing Room Consoles, Workstations and Servers would be required. Pending approval, ground processing for Ares FT 2 is scheduled to start in September, 2012. Flight Test 3 (Ares FT 3) ramps up the testing objectives, this time with a Michoud Assembly Facility (MAF) built Upper Stage – again stated as in support of HLV. 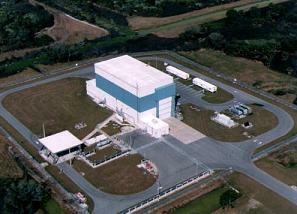 This vehicle would also carry an Orion, which would be processed in the MPPF, located south of the VAB. “Objectives: Demonstrate crew survival assurance functions. Demonstrate Upper Stage operation (in support of HLLV). Demonstrate integrated (HLLV) avionics. Demonstrate on-orbit spacecraft systems,” the information continued. 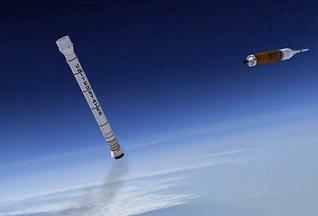 A full size Ares I vehicle, Ares FT 3 would require additional modifications to the ML, with Vehicle Access Arm (VAA) to the Upper Stage, Interstage and Service Module, along with numerous fluids and propellant servicing umbilicals. The VAB would again see High Bay 4 being used for the processing of the vehicle, prior to stacking on the ML in High Bay 4 – although new Upper Stage, SM/CM/LAS Access Platforms, and new adjustable platform access technologies, would be required. 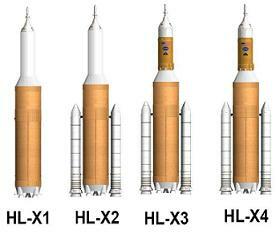 Ground processing would be scheduled to start in October, 2013, for the proposed March 21, 2014 launch date. Flight Test 4 (Ares FT 4) appears to be a full, unmanned, Ares I/Orion test – potentially mirroring the Ares I flight that was to be the final test launch ahead of Ares/Orion IOC (Initial Operating Capability), as per the previous Constellation roadmap. “Objectives: Demonstrate crewed systems and human / machine interfaces. Demonstrate on-orbit systems performance. Demonstrate spacecraft entry systems performance,” noted information associated with Ares FT-4. Details are still in-work, with the Crew Access Arm addition to the ML classed as Under Review, as is the Emergency Egress System (EES). In the previous Constellation plan, a roller coaster system was to be built out at the Pad 39B complex. A hugely expensive and ambitious design, the coaster was redesigned several times, in order to provide the means for an Orion crew, and notably a pad crew – in the event of a hypergolic leak – to escape into an underground bunker away from the pad. “Additional ML Systems for FT 4: Crew Access Arm (U/R). Emergency Egress (U/R). FT 4 DFI (Dev Flight Instrumentation)-Roll-out Instrumentation,” confirmed the notes, before adding numerous ML modification requirements. 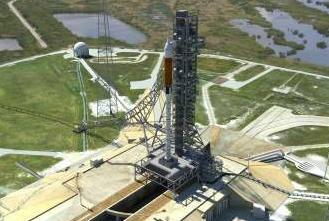 In order to achieve the projected November 2014 launch date, the Orion Short Stack would be required by May 14, 2014, with ground processing scheduled to start July, 2014. Notes on the Project’s risks were also referenced, which interestingly seem to provide a “lessons learned” approach from Constellation’s Ares I-X processing and flight, along with the challenges associated with Ares I-Y and Ares I. “Aggressive ML Development Schedule to FT3. Umbilical Plates and QD (Quick Disconnect) availability. Additional work provides 2-3 month challenge to FT3: Accelerate CAA from FT4 to FT3. Addition of sound suppression to FT3 (Proceed at risk until test results). Addition of cold helium to FT3,” listed just some of the risks. “Resumption of Cx GS (Ground Support) slowed/stopped activities: June 1, 2010. Need streamlined/flight test/skunk works/Ares I-X like SE&I (Systems Engineering and Integration), design, development and requirements management approach. Concurrent GS development activities with flight operations. “Potential need to destack Orion and replace LAS batteries following integrated testing in the VAB for FT2 to mitigate not having a charging interface and/or ECS. Potential prolonged First Stage stacking times due to using adjustable vs. fixed platforms (all flight tests). There is no question that the plan is based around saving Ares – and a section of the workforce – for the purpose of at least providing a level of test capability during the upcoming gap, sold with the promise of aiding the switch to a HLV. However, as with the FY2011 plan, which does not include the continuation of Ares, this is likely to be one of several options which may provide a potential compromise approach for lawmakers in Congress. Which compromise – if any – wins, remains the question.